Bad Detective supporting cast lineup completed. Hong Eun Hee, Ryu Tae Ho, Cha Sun Woo, Bae Da Bin, Yoon Hee Suk, Kim Na Yun, Bae Yulam ,Yang Jiwon, Bae Yoon Kyung join the MBC drama 'Bad Detective'. The Korean remake of BBC’s “Luther” has confirmed the rest of its cast. 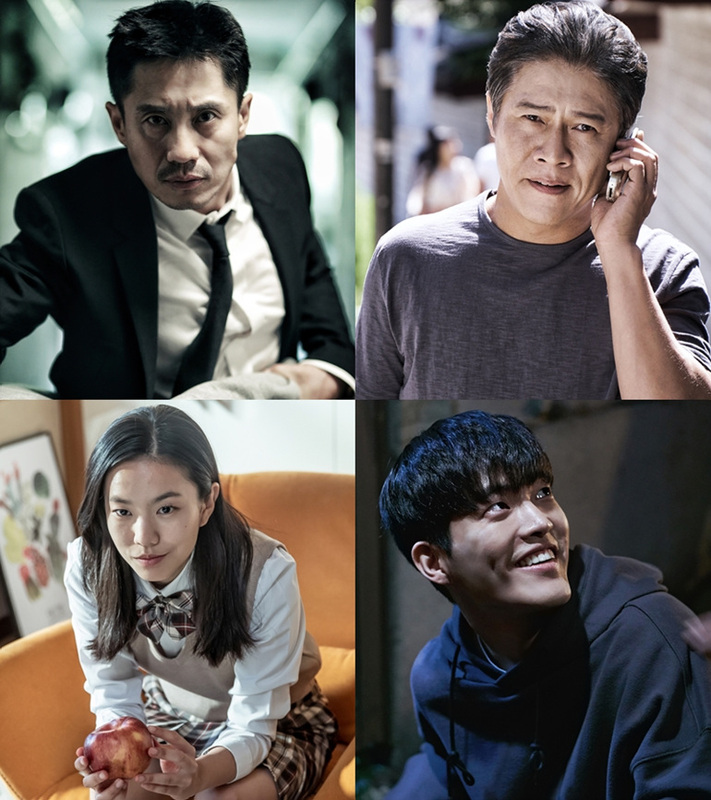 The cast of “Bad Detective” (literal translation) consists of Shin Ha Kyun, Lee Seol, Park Ho San, Kim Geon Woo, Hong Eun Hee, Ryu Tae Ho, B1A4’s Baro, Bae Da Bin, Yoon Hee Suk, Kim Na Yoon, Bae Yoo Ram, Yang Ki Won, Jo Yi Hyun, and Bae Yoon Kyung. Shin Ha Kyun was previously confirmed to play psychopathic, genius detective Woo Tae Suk. He will be working with rookie actress Lee Seol, who was cast as the female lead Eun Sun Jae, who secretly assists him in capturing criminals. The actress made her debut with web drama “Two Women Season 2” in 2016, and appeared in Kim Dong Ryul’s “Reply” music video alongside Hyun Bin. Hong Eun Hee will be playing lawyer Kim Hae Joon, Woo Tae Suk’s wife. This will be the actress’s first drama comeback in two years. Veteran actor Ryu Tae Ho’s character is the indecisive and timid head detective Choi Jung Woo, who can’t decide anything by himself. He will be working with Park Ho San’s character, Jun Choon Man, who bullies Woo Tae Suk to no end. Is this one of the posters? Bad Detective' s actors and production crew prayed for the safety and health of their colleagues and staff to work together for months, and were determined to put safety first and foremost without incident. 'Bad Detective' Kim Dae-jin PD "Shin Ha Kyun, a unique presence .. That presence alone is the greatest strength in the field, "
Actor Sung Hyuk was cast in OCN drama Trap. He plays a mysterious man,a person who adds tension to the drama with a bloody eye and an eerie smile. Newbie actress Cho Yi Hyun joins MBC drama "Bad Detective". Cho Yi Hyun said, "I am so excited to be in the new film 'Bad Detective' following 'Bad Papa' which is currently appearing. I was very pleased when I heard the news of the casting of 'bad criminal', and it was especially glad that I could meet with Shin Ha-gyun, especially. I said, "I will do my best to do my best in the role as a witness to the disappearance." . MBC drama 'Bad Detective' is going to premier in December following 'Bad Papa'.